One of the most popular marketing trends of 2017 is content marketing, but not everyone might know what it is yet. Content marketing is a marketing technique that consists of creating and sharing media in order to obtain new customers within your target audience. The main idea behind content marketing is not so much selling the product to customers, but just making them aware of it. This can be done through articles, videos, infographics, blogs, etc. If the company has a good content marketing strategy, then it can greatly improve their business. There’s always a question of whether a company should focus on the quality of their media, or the quantity. In the case of content marketing, it’s a little bit of both but more so quality over quantity. While it’s important to always be producing new media, it is more important to make sure that the media will reach potential customers and have a positive effect on them. If a company produces new media five times a day but the content is poor, then they will be wasting their time because people won’t be interested in what they are saying. However if they focus on producing extraordinary content, it will benefit them a lot more even if that means they will have fewer posts per day or week. One of the easiest and best ways to allow people to see your content is through social media. Social media is good because a lot of people are active on it, and it is a growing industry. Social media also allows potential customers to share your content with just a click of a button, and this can result in it going viral. 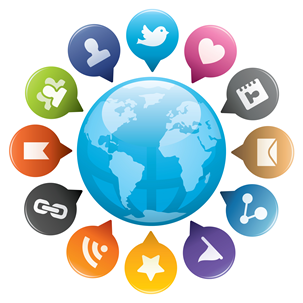 Some more benefits of social media is that it is free to have accounts and easy to manage. You don’t need to outsource in order to be active on social media and that can save your company money in the long run. For content marketing half of the battle is creating good content that can improve your company, and the other half is making sure that enough people see it. As mentioned above in the previous step, social media is a good way to distribute your content to people. It is quick, cheap, and can get the job done. Another good distribution method is through emails. If potential customers sign up for your mailing list, you will be able to send them emails and get your information through to them. When sending emails, it is important to remember not to over-do it. If your company sends emails daily, it tends to bother and annoy people, causing them to block your emails and have a negative idea of your company. So it is important to find the right sending frequency that will get your customers interested in your company. Content marketing is an on-going process that should constantly be improving. This being said, you should never be satisfied or content with what you did in the past. If your company had a really successful content marketing campaign last month, that’s great for business; but now it’s also time to focus on what your company should do next. This is because content marketing is very fast paced and it’s based on trends that can become outdated quickly. In today’s world something can go from being popular to forgotten about in a matter of weeks, so adaptation is key in content marketing. If your company does not have a content marketing strategy by now, then you are in danger of falling behind in business. Content marketing is currently trending and it will become even more popular in the future. Some tips to help with content marketing are to remember quality over quantity, to utilize social media, to focus on the distribution of the content, and to never be satisfied with your media output. If your company follows these tips and focuses on content marketing, then you will see your company improve their business greatly.